>Even though you might have not recovered from nougats, marzipan and all different Christmas specialties, it’s already time for Carnival food! Those with a sweet tooth will enjoy this feast of joy, color, fun in abundance, humor, and desserts. There are so many to choose from that it is almost impossible to try them all. Tortillas, corrusquillos, cakes, tanguillos, perronillas, orejuelas, huesillos, fried milk, filloas and, of course, the most delicate of all, fried flowers. However, there are still many more. Is your mouth already watering? 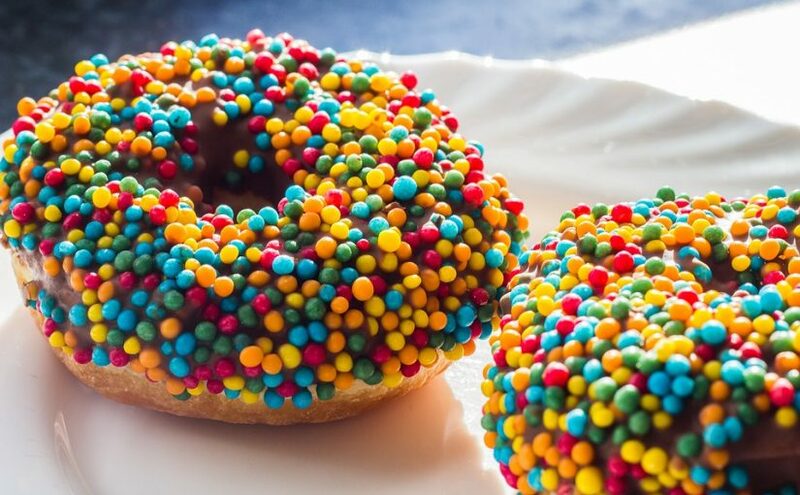 Below you will find out more about these Carnival sweets and desserts that don’t need a costume to stand out. Indulge yourself for few days before the start of Lent with these sweet delights. Sin first, diet later! Although they may look like them, they are not French toasts, since French toasts or torrijas are served for forty days before and during Easter. However, the famous tortillas are eaten in Carnival time. The ingredients are more or less the same, but there are also important differences. Try one and you will notice them immediately. Eggs, a lot of sugar, milk, cinnamon, lemon zest, a splash of anisette, a teaspoon of aniseeds and… where is the hard bread? Do not look for it because you will not find it. They are also known as Canary toasts or torrijas, especial dough that is fried in very hot oil until it gets brown and covered in sugar afterwards. Simply delicious, because when preparing the dough, they usually add some cooked pumpkin that gives a special flavor to the sweet. They look like toasts, some even call them toast, but they aren’t! And they even taste like pumpkin. As irresistible as the Gran Canaria Carnival! Despite their name, corrusquillos are also bread-free. Do you know what corrusquillos are in Spain? They are the ending sides of a baguette bread, a Carnival food that everybody knows . But this is also the name for some typical sweets in Cadiz, the most popular Carnival cityin the Iberian Peninsula. However, if you ask somebody from Cadiz what a corrusquillo gaditano is, they will tell you that it’s the name of one of the most popular Carnival music bands from the 60s. This might be the reason why this crunchy and aromatic pastry made out of hazelnuts is so popular. Its ingredients are almost as secret as the place where the inspiration comes from in this town to write the lyrics of their hilarious Carnival songs. You can find these pastries in many bakeries, as well as the famous tortas de carnaval made out of almond and sesame, and tanguillos with pumpkin, cinnamon and pine nuts. Its flavor is no joke, don’t miss them! If Las Palmas Carnival is the liveliest in Spain, and the most entertaining one is in Cadiz, the oldest Carnival celebration is the one in Ciudad Rodrigo, Salamanca. So many years of tradition have given rise to a good number of gastronomic delights, especially sweets. Thus, during the their famous Carnaval del Toro, perronillas are the favorite pastry. They are made out of dry dough, then baked, sugar-coated and decorated with a nut. They melt in your mouth when you eat them! However, throughout Castilla y Leon you can find many traditional Carnival food and pastries, such as the world-famous orejuelas or hojuelas, fried milk in Palencia, huesillos in Avila or Peñaranda de Bracamonte and, of course, the typical carnival flowers in areas of Zamora that are close to Galicia. This is probably the most difficult recipe but also the most beautiful sweet of all. These are the most difficult to produce because the dough needs to be very light, very thin and very crispy. Sometimes they are difficult to give form. You will need some patience and a hot mold in order to prepare them. Then you just need to add sugar to the dough and they are ready to enjoy with a hot drink. By the way, have you noticed that all these sweets are perfect to warm up with a coffee in February, the month of Carnival? The same applies to the sweet filloas, very typical also in Galicia, Leon and Asturias. They are like pancakes made with flour, water, milk and eggs that are served warm and stuffed with quince cheese, chestnut cream, whipped cream or chocolate. Do you like the carnival food? We show you the best sweets and desserts for this celebration that everbody loves. Don´t miss them!